Children will love to rule the Fayetteville play structure. Made up of two 36” elevated platforms children will be able to access this play structure by a pebble climber and by stairs. 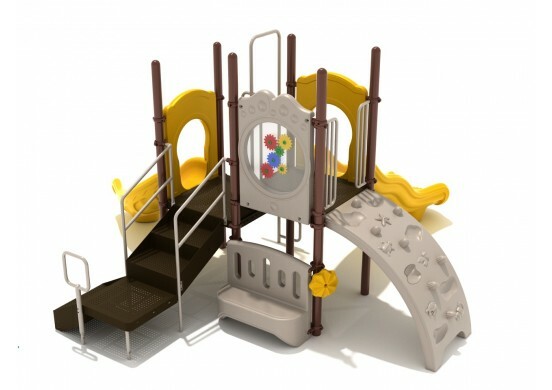 A bear panel borders one side of the upper level of this play structure, and a left turn slide and a double slide attach to the upper level as well, giving children a fun way off of the play structure. A store panel found on the ground level of this play structure offers opportunities for on-ground play, and also make the Fayetteville play structure ADA compliant. A line roof covers part of this play structure, providing shade and protection from the sun to children playing on the play structure during sunny days. 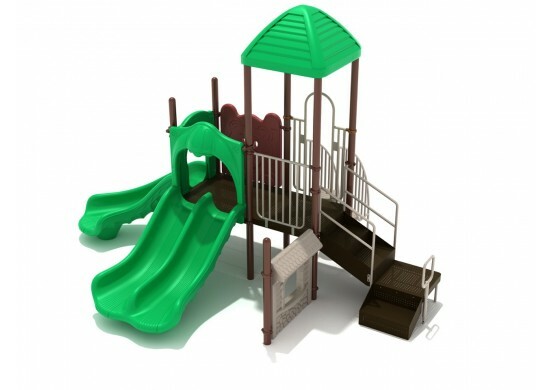 Children will feel like they rule the world on this play structure. 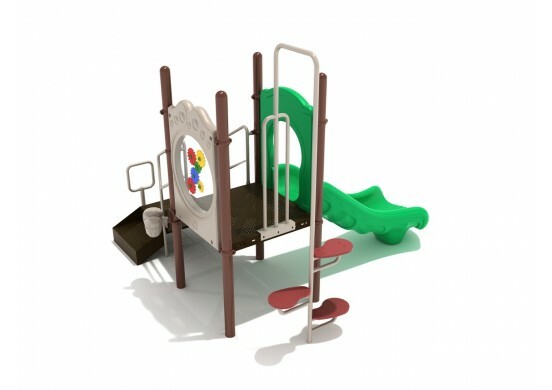 This play structure is designed for children who are between the ages of 2 and 12 years old.